Freshen up your laundry routine—no bleach necessary. According to the American Cleaning Institutethis, the average American family washes about 50 pounds of laundry a week—but anecdotally, I’d say that it feels more like 100 pounds with my family of four! With as much clothing as we’re washing each week, I’m always on the lookout for inexpensive ways to make my laundry routine easier and more effective, particularly laundry tips that cut down on ingredients and chemicals that could irritate my kids’ sensitive skin. If you want to spiff up your laundry the natural way and ditch the harsh chemicals, these five chemical-free laundry tricks are for you. Your towels will be softer, your white clothes whiter—and you won't have to pick up that bottle of bleach. Use vinegar as a natural fabric refresher. If your clothes are getting a little musty—especially items that are frequently damp, like sports equipment or bath towels—try adding vinegar to the wash. “I know it sounds crazy, but it really works!” says housekeeping pro Melissa Maker of Clean My Spacethis. The acid in distilled white vinegar will dissolve residue from products, which can hold on to odors, make clothes look dingy, and make fabrics feel stiffer, too. “I just fill my fabric softener compartment up to the line, you can’t really screw it up,” says Maker. She uses white vinegar instead of fabric softener, but says that it can be used in place of detergent as well. Maker is also a fan of using lavender essential oil, which is naturally antibacterial, anti-mold, and anti-mildew. “You can put it in with the vinegar or with your regular laundry detergent to help negate the smell of mildew and keep it from building up,” says Maker. For those who don't like the scent of lavender, try tea tree oil, which is also antibacterial. One caveat: Be sure to get therapeutic-grade essential oils, not something you’d find at the discount store, to make sure you get the real benefits and avoid skin sensitivities. Let baking soda brighten and deodorize. Baking soda is a natural deodorizer and brightener, and it’s probably already in your pantry. 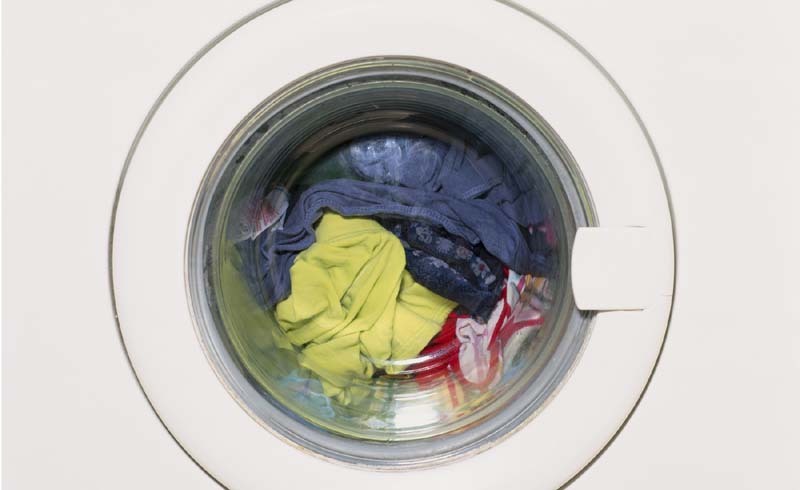 To make you laundry detergent work harder, add 1/2-cup of baking soda to the rinse cycle of your washing machine. It will balance the pH in the wash to lighten stains and reduce any lingering smells, just like it does in the fridge. 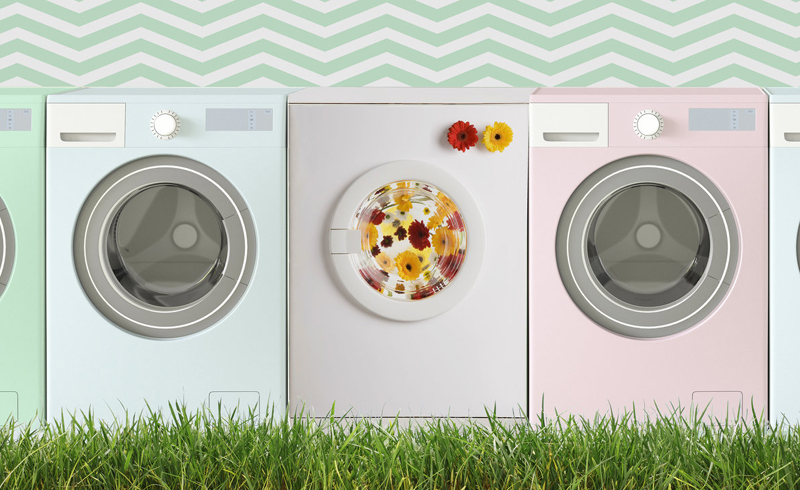 While many of us are attached to the smells dryer sheets impart onto our newly-cleaned laundry, they’re not necessarily the best choice for keeping clothes fresh long-term. Dryer sheets work by releasing fragrances and chemicals that coat your clothes in softness and scent, but those chemicals may also coat the inside of your dryer, making it less efficient, and the residue on your clothes can pick up—and hold onto—dirt and odor. Instead, use dryer balls, but the old-fashioned tennis ball trick works, too. Simply add a few tennis balls to the dryer when drying towels and linens, and they will fluff up the clothes and circulate the air inside the dryer, without adding chemicals. Plus, it speeds up drying time. Fold 'em while they're hot. It’s not always possible, but when you can, take clothes out of the dryer while they’re still warm and fold them right away. Beyond checking that chore off of your to-do list, folding clothes before they cool will virtually eliminate wrinkles, since they won’t have a chance to set. If you can’t fold the whole load right away, target just the items that show wrinkles the most. In my laundry basket, those would be jeans and my husband’s dress shirts—I pull them out, give them a shake to loosen any wrinkles, and set them on top of the load of t-shirts and socks so they don’t end up scrunched in a ball at the bottom of the basket. I also use this trick on bed linens to get those nice, crisp pillowcase and sheet edges, no ironing necessary.